May all your lives be as colorful as the Holi festivities which we are eagerly waiting for. Let us make others’ lives as colorful as we want ours to be. May your colorful lives touch the sky with glory. On this Holi, let us fill the colours of success in your life. 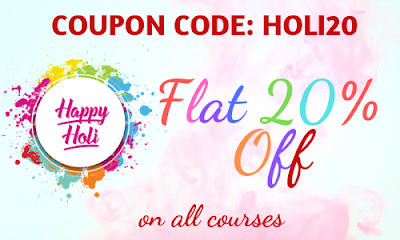 Grab a special Holi discount on all offered courses of BankExamsToday. I want to apply for Union bank of India credit officer. I did MBA finance from SMU by distance learning mode. Am I eligible for the exam?